An image of a prototype Killer Instinct arcade stick for the Xbox One has surfaced. 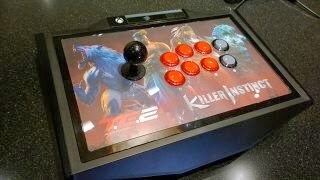 Microsoft's Major Nelson posted an image on Twitter showcasing a prototype Killer Instinct arcade stick. As mentioned, this is not exactly a representation of what the final product will be.